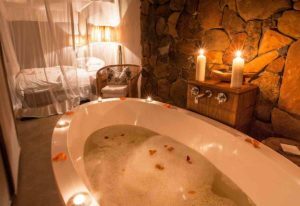 When you join us in the serene setting of Nambiti Hills Private Game Lodge, you’re immersed in nature, wherever you are. Whether you’re sitting at our bar or our restaurant looking out onto the Nambiti Valley; in our infinity pool gazing at the horizon or in the egg-shaped baths looking out to nature. 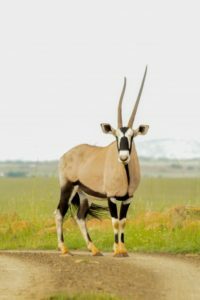 Now, we are taking you closer to the wilderness than ever before, with our Wildlife Wednesday Guided Walks. If you book to stay over a Wednesday, from now until November 30th, you will be able to experience a complementary Guided Walk into the Nambiti wilderness with one of our experienced Guides, in place of one of the twice-daily Game Drives. 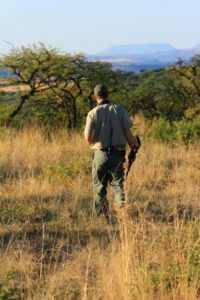 Although these walks are potentially more dangerous than an Open Vehicle Safari, our Guides undergo extensive training and assessments to ensure our Guests are explicitly safe. During your experience, you should see a variety of game and learn facts about the surrounding wilderness. On Guided Walks, water will be provided for you, as they take place between 9am and midday in the hot morning sun. If you are thinking about participating, you should pack a hat, comfortable walking shoes and neutral-coloured clothing like khaki, beige or brown. Get up close and personal with the wilderness, when you book to stay over a Wednesday, and experience a walk on the wild side.